Contractors license: Welcome to the first step in obtaining a California contractors license. We are the largest contractors license school in America. Established in 1982, we prepare literally thousands of people every year to take the exam. 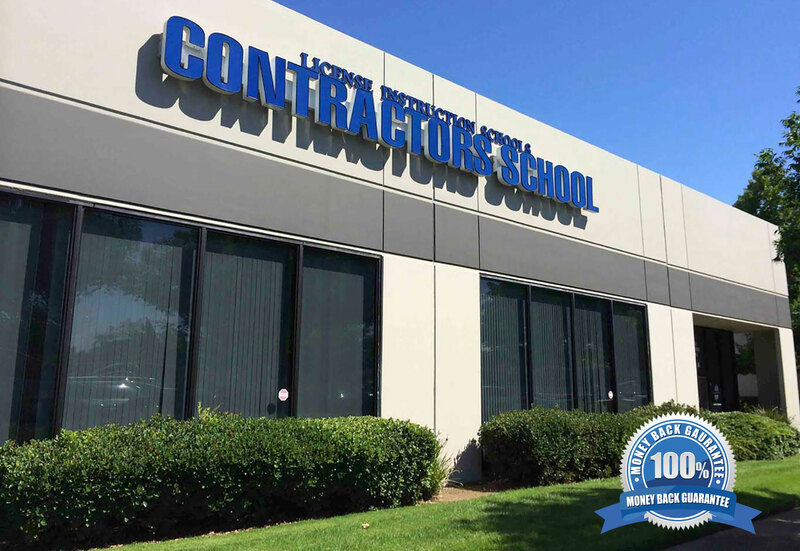 Over 100,000 students have enrolled in our contractor school to prepare for their California contractor’s test. Classes are offered throughout California and we guarantee you’ll pass the first time. We also offer online options as well. How do I get a contractor’s license? Choose a topic on the left to learn how to qualify, what the fees are, how long it will take and how to prepare for your contractor exam. Scroll below to view our video or call (800)346-7277. In California, anyone bidding on a construction project that is $500.00 or more must have a license. To qualify you must show that you have four years of experience in your trade and take two exams, the Law exam and the Trade exam. The Law exam covers subjects such as contractors license law, worker’s compensation, safety codes, mechanic’s lien laws, etc. The Trade exam covers your particular trade with the exception of the C-61 Limited Specialty classification. The C-61 is for trades that are very specialized in nature and includes a whole host of sub “D” classifications. This classification only requires a Law exam. These are trades that very few people perform. There are 44 classifications of licenses available. We offer classes for all of them. Some of the most common classifications include: General Building, Electrical, Plumbing, Roofing, Drywall, Painting, Plastering, Landscaping, HVAC, and the list goes on. See our Classifications page for more detail. In order to qualify for the license you must have four years of experience in your trade and complete an application. As part of our service we have an Applications Department that can help you every step of the way. Once you complete the application we review it before it goes to the State to minimize the chance that yours will be sent back for corrections.